Fulfilling its promise to expand access to its professional design software in education, Autodesk, Inc. (NASDAQ:ADSK) has made its industry-leading design, engineering and entertainment software free* to students, instructors and academic institutions worldwide. Through this action, more than 680 million students and educators from over 800,000 secondary and post-secondary schools in 188 countries can take advantage of free access to Autodesk’s professional software and services for use in classrooms, labs, and at home. 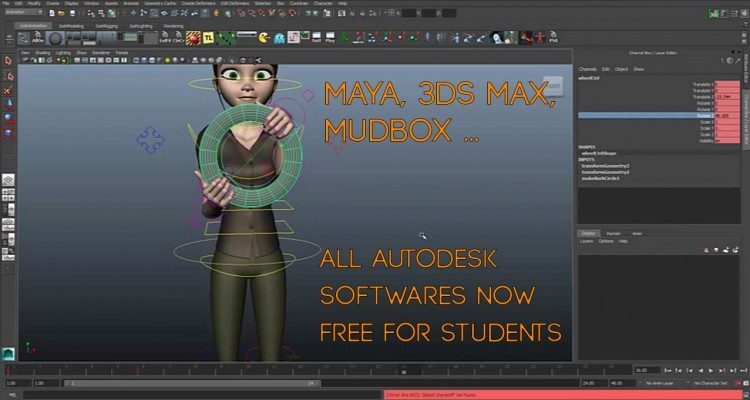 Following its announcement of free software for academic institutions in the United States earlier this year as part of President Obama’s ConnectED initiative, Autodesk has gradually expanded free access to its leading design software to academic institutions across Asia Pacific and Europe. The leader in 3D design, engineering, and entertainment software is also helping schools move to the cloud by providing academic institutions with its full suite of next generation cloud-based design products, cloud services such as the A360 collaboration platform, as well as maintenance subscription for free. To facilitate the integration of design tools into curricula, Autodesk also offers free project-based learning content and resources including theDigital STEAM Workshop and Design Academy. “Closing the digital gap in education starts by providing European schools with common access to the same advanced technology being used by industry professionals today. Autodesk’s pledge to provide our schools, students and teachers with free access to its professional 3D design software will enable educators to introduce design thinking into our classrooms; equip digital natives with the design tools to learn to solve real-world challenges in new creative ways; and prepare the next-generation workforce with the 21st century skills to meet industry demands and advance our economies,” said Neelie Kroes, former vice-president of the European Commission. Autodesk helps people imagine, design and create a better world. Everyone—from design professionals, engineers and architects to digital artists, students and hobbyists—uses Autodesk software to unlock their creativity and solve important challenges. For more information visitautodesk.com or follow @autodesk.